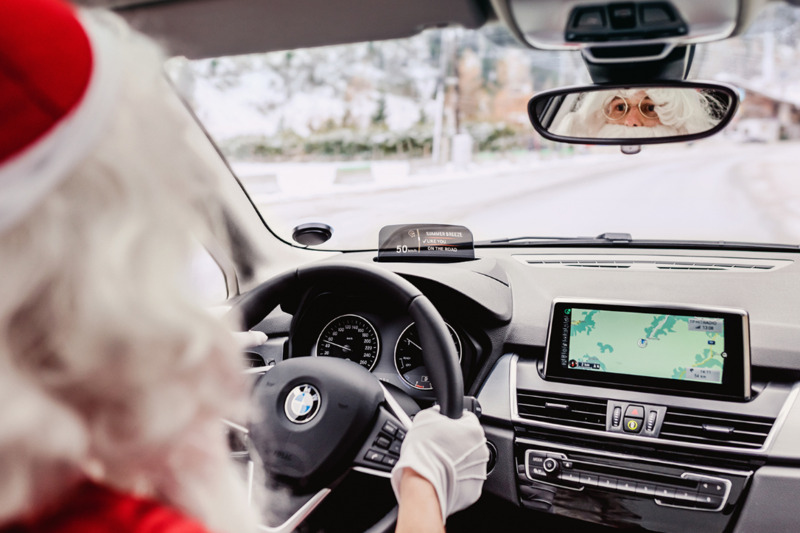 No matter if you are planning a trip home for the Holidays our Christmas packages are perfect for every occasion to celebrate in style. 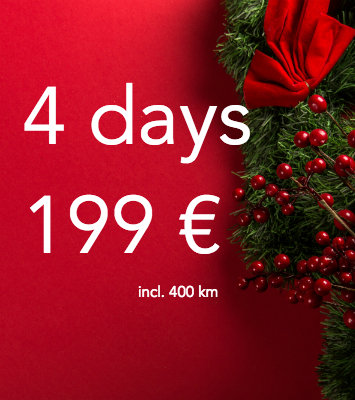 With our Christmas deal you can now use our cars for up to four days! 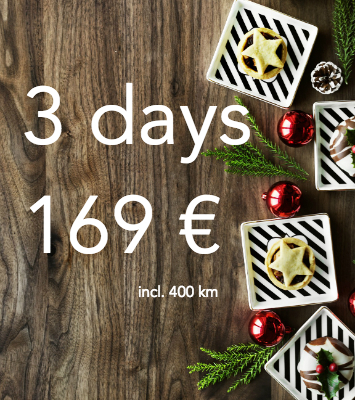 We has also discounted our daily packages to make it even more affordable! 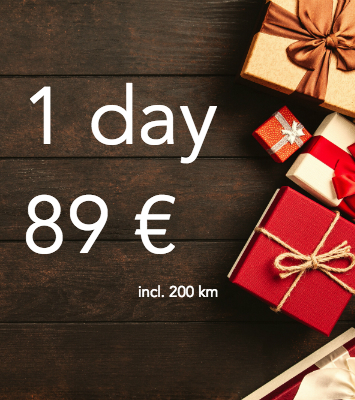 For example, the 1 day package you pay only 89 € instead of 109 € - costs for fuel and insurance are included as usual in the price. 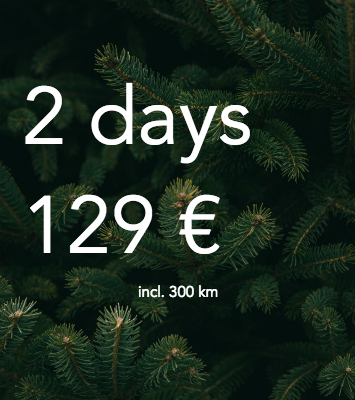 Once you reserve a car select " Hourly & Daily Packages"
After booking one of the day packages, the car will be yours for the entire period. If you would like to park the car during your trip, please select "Park & Keep" in the app or on the vehicle screen and lock the car.